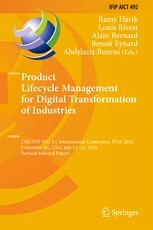 PLM16 was organized by UNIVERSITY OF SOUTH CAROLINA in Columbia, from 11 to 13 July 2016. Main organizers were Dr. Ramy Harik and Prof. Louis Rivest. Some pictures and tweets from the conference are here. The final version of the proceedings is available on line: here.